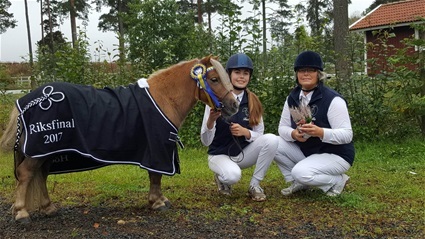 Sandbackas Herakles 2:a bästa ponny alla kategorier i Riksfinalen hoppning i Vetlanda 2017. ÅRETS BRUKSPONNY I SHETLAND SYD. A small stud in south of Sweden. All our brodmares have exellent temper! be used to sport,shows and breeding. Camilla Kejllman All rights reserved.